How many card to envelope routines do you already have? Maybe a lot. How many of them allow the spectator to look into an empty envelope and hold it in advance? Maybe None. You give a spectator a black envelope, inside is a small white envelope. They are both empty. Ask the spectator to choose any card and sign it. The signed card is put back into the deck. Take the envelopes back from spectator, give him the card deck to hold. After the mysterious gesture of "go change", you take out the white envelope. You slowly take out one card from envelope. WOW, it is his signed card! 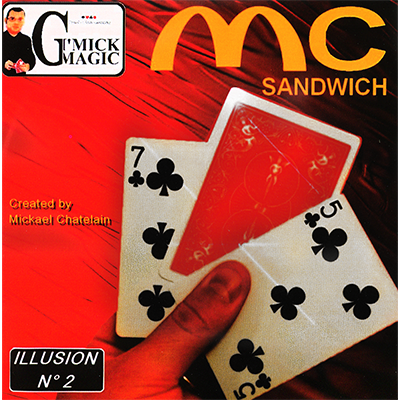 The signed card in the deck from spectator's hand, GO CHANGE into the envelope. Unbelievable! The signed card from, not just one, but TWO EMPTY envelopes that the spectator held makes this routine even impossible! 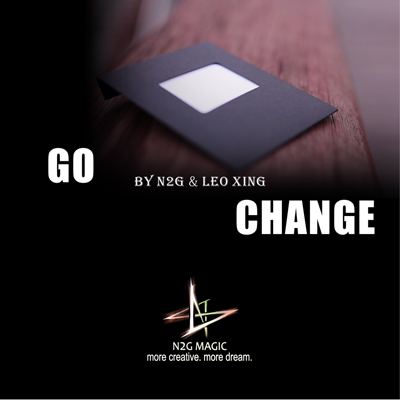 Go Change enables you to perform the most ASTONISHING card to envelope miracle ever. It can be a new treasure to end your ambitious card routine and leaves the audience speechless. Take a look of the demo video, you can feel how powerful it is. Two cards are chosen and signed, one is put back into the deck, another one is put into envelope. Suddenly, these two cards change locations. You take out the card from envelope, it is the one put in deck before. Then the spectator finds the card in the deck which was supposed to be the one put in the envelope. The bonus effect needs some special setup and sleight of hands. But if you practice and perform it right, it is far more stronger than any simple card to envelop routine.